Continuing the celebrations for their 10th Anniversary, publishers Native Tongue are proud to announce the signing of Australian rising stars Kingswood.The four-piece rock outfit from Melbourne have just unveiled the highly anticipated debut albumMicroscopic Wars. Kingswood have been working tirelessly since their inception to hone their craft, self-releasing their debut EP Change of Heart in 2012, featuring the singles ‘She’s My Baby’ and ‘Ohio’, both of which enjoyed love from alternative and commercial radio across the country. With their signature rock swagger, DIY spirit and contagious energy, Kingswood headed to Nashville to work with Vance Powell, the Grammy Award winning purveyor of obscure and eclectic rock and soul rarities – who has worked with the likes of Jack White, Jeff the Brotherhood and Arctic Monkeys – to record their debut LP, Microscopic Wars. Complimenting the production, mastering was completed in Nashville by the legendary Richard Dodd, consigliore and chief engineer for the likes of Rick Rubin and an intimidating resume of his own. The 13-track album explores a variety of sounds and features lead singles ‘Sucker Punch’ and ‘I Can Feel That You Don’t Love Me’. 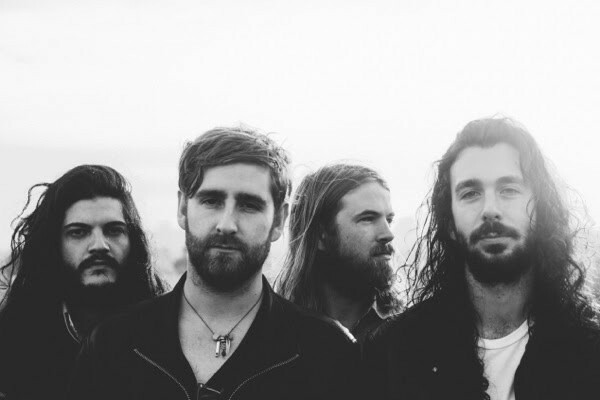 Kingswood have toured with the likes of The Living End, Grinspoon and Aerosmith and played numerous festivals such as Splendour In The Grass, Groovin’ The Moo and Big Day Out. To coincide with the release of Microscopic Wars, Kingswood are currently on tour throughout Australia (dates below). Kingwsood joins Native Tongue’s growing Australasian roster which includes the likes of Cut Copy, The Waifs, The Amity Affliction Oh Mercy, Calling All Cars, Gossling, Clairy Browne and the Bangin’ Rackettes, Gin Wigmore, Strange Talk, Dale Cornelius, Dialectrix, The Veils, Henry Wagons, Philadelphia Grand Jury, Plutonic Lab, The Black Seeds and The Phoenix Foundation to name but a few.